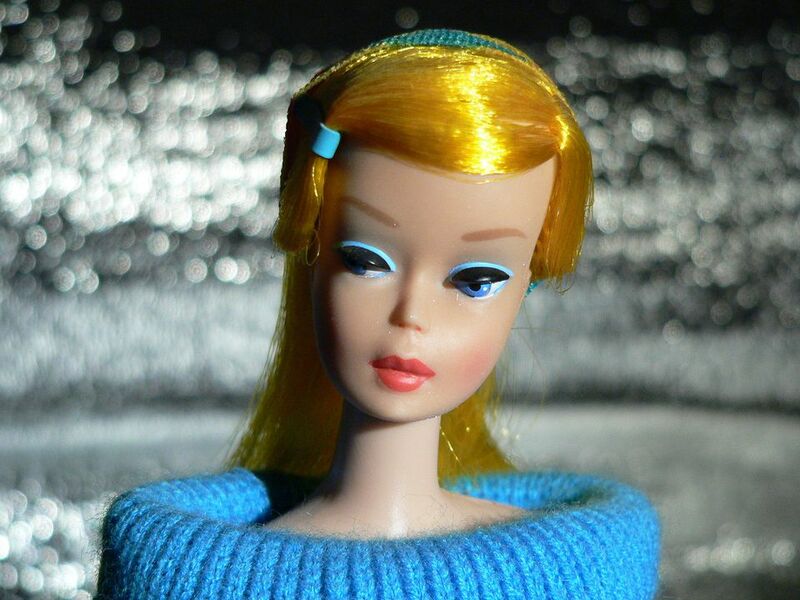 In the world of doll collecting, actual 1966 Barbie dolls are a confusing rarity. The copyright on the Barbie dolls is not always the year that the doll was manufactured. In fact, many dolls with the 1966 copyright were actually manufactured in the 1980s and 1990s, which means they have little value to collectors. Barbie dolls, especially vintage ones, are often identified by the marks on the doll's behind or torso. These markings often include a date. The stamped date is actually the copyright date of a particular kind of doll body. The most common markings on Barbie dolls include "©1966", "Mattel, Inc." and the name of the country where the doll was made. The confusion comes when people see this information and think they've found a vintage Barbie doll. However, there are a few Barbie dolls with a 1966 marking that are vintage and valuable. Most of these were made in Japan in the late 1960s or early 1970s. Some of the vintage dolls were made in Taiwan or Hong Kong. After 1972, most dolls were made in Mexico, China, and Malaysia. If the doll has markings from these countries, it is not vintage. U.S. Patented or U.S.Pat. Pend. Most of the markings on pre-1966 Barbies are longer and take up more lines of copy than the later Barbie dolls' markings. Another defining characteristic is how the Barbie dolls' features look and move. Most of the earlier Barbies have straight arms that don't bend at the elbow. The dolls generally had closed mouths or small smiles, unlike the later, wide grins. The pre-1966 Twist and Turn (TNT) dolls were marked on their behinds and not the small of their backs like many later dolls. The TNT vintage dolls have waists that twist on an angle and not straight across like the contemporary Barbie dolls. You can also tell if your Barbie is relatively new if she has large plastic earrings, a plastic "ring" made from the little plastic bolt on her finger, or very thick blond hair. Most of the Barbies produced in the 1980s to the 1990s are virtually worthless, especially without any accessories. If they are in perfect condition with all their original clothing and accessories, the dolls may have value to a collector, depending on which Barbie model the doll is. A mint condition vintage TNT Barbie could be valuable to the right collector and worth hundreds of dollars. Mattel, the creator of Barbie, estimates that there are over 100,000 avid Barbie collectors. In addition to vintage Barbies, there is a wide market for other collector's editions of the doll. Some of these include porcelain versions of the famous doll, reproductions of the vintage styles, depictions of Barbie in a range of characters from movies and television shows, and different ethnicities of Barbie. Limited numbers of each type of doll were produced, creating a collector frenzy.